There are different kinds of exercise tools that enable you to effectively train your abdominal muscles. 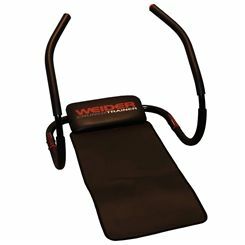 Ab trimmers make workout much easier and comfortable as they are equipped with a padded headrest that offers support for the neck and back during performing crunches, which reduces strain within these areas. Ab trimmers do not take much place, so you can easily train with them at home and change their location. 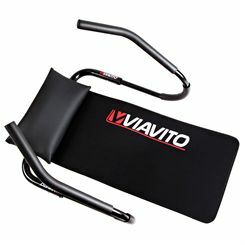 Other popular pieces of equipment are sit up bars designed to be attached to the door and equipped with foot rests that help keep your feet in place while performing exercises such as sit ups and crunches. Some persons can prefer roman chairs that are used mainly to strengthen the lower back, but they also allow for targeting the gluteal and abdominal muscles. We are sweatband. your No.1 go to sports superstore. 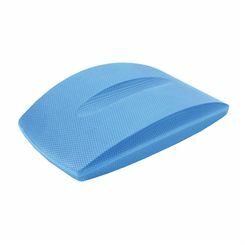 We have been selling sports and fitness products for over ten years through our website and central London showroom. We pride ourselves on our unparalleled customer service. We are committed to providing the best possible deals online. If you find the same product cheaper somewhere else, let us know and we will do our best to match it. We’re not a faceless Internet only retailer! We have a store in the west-end of London, between Oxford Circus and Great Portland Street tube stations. For expert face to face advice on product selection, just visit us! We deliver literally 1000’s of orders every week on time and have a fully staffed and pro-active customer service department that can provide assistance in the rare cases where there is an issue. We’re not a faceless Internet only retailer! We have a store in the west-end of London, between Oxford Circus and Great Portland Street tube stations. For expert face to face advice on product selection, just visit us!